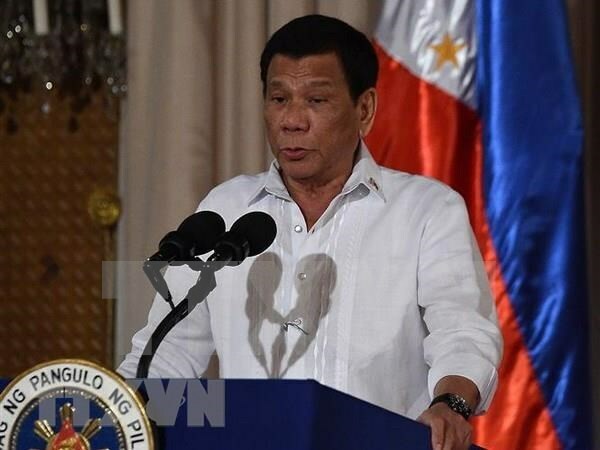 Hanoi (VNA) – Philippine President Rodrigo Duterte has ordered a review of all contracts the government had signed with companies and other countries to ensure they do not put the Philippines at a disadvantage. Speaking at a regular press conference on April 2, the President’s spokesman Salvador Panelo said the Office of the Solicitor General and the Department of Justice secretary and all legal units were directed to conduct the review. He added that the review will determine whether there are onerous provisions in the contracts that would put the Philippines at a disadvantage or in violation of the constitution.